Dang, my hair looked nicer then. I should, like, condition it or something. At least I'll always have my fish-belly pale legs. This option is perfect for dresses, but I didn't feel like changing into one for the pics. 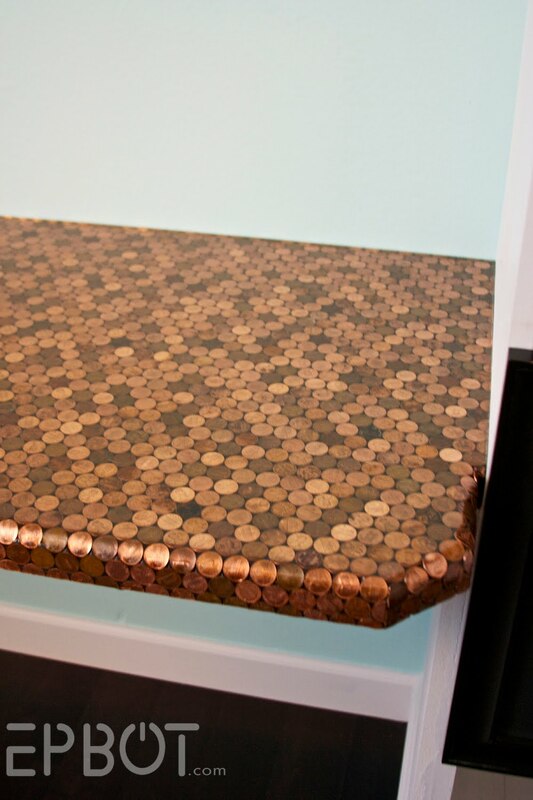 You can see it's holding up like a champ, so rest assured this DIY can last you for years. I think this mod is the single most useful DIY I've come up with, so it's ridiculous I've waited this long to share it with you guys. I guess I just took its usefulness for granted every day, and, um, forgot. Heh. Oh, and one drawback to this DIY? I cannot deal with shoulder strap bags anymore. And believe me, once you experience how freeing both hip & cross-body bags are, neither will you. No more tugging on slipping purse straps! No more looking for a place to set your bag down! It's heaven, you guys. HEAVEN. Ok, enough raving. Let's modify a purse! You don't want a giant bubble bag bouncing around your hip, so stick to something semi-svelte. You also need the bag to have two metal rings on either side of the top. Fortunately this style if super common right now, not to mention cheap! I found this one at Ross for less than $15. 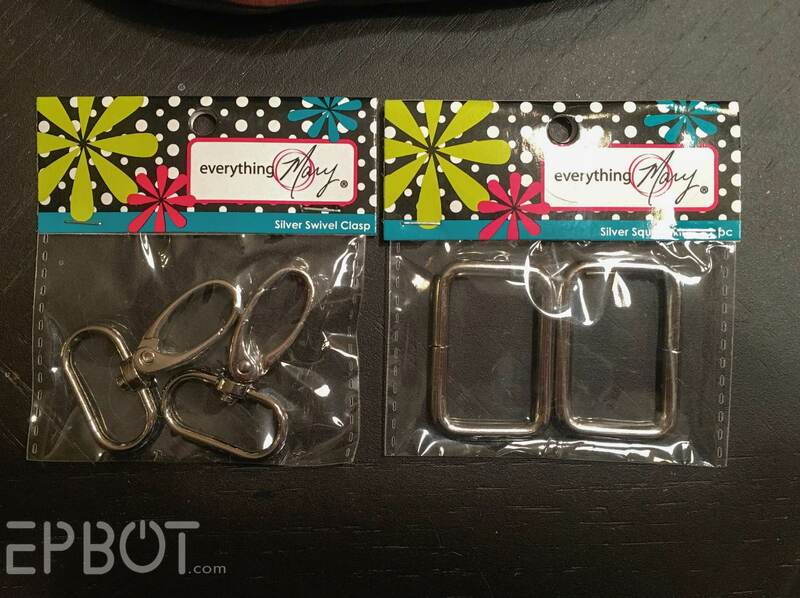 Both come in a variety of metal finishes, so use whichever matches your bag. Plus the tools to install both. 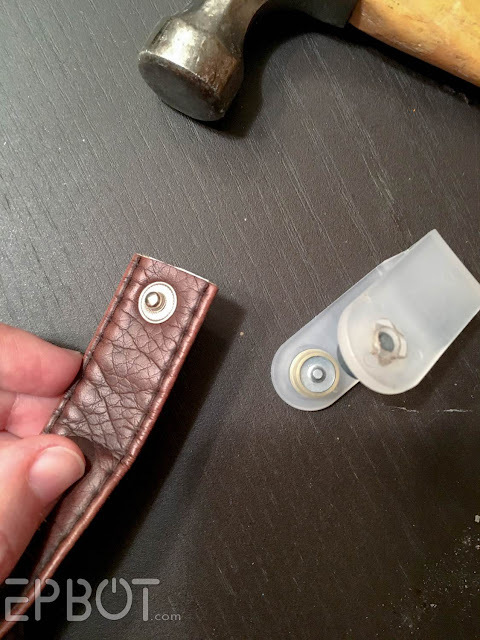 The section you leave connected to the purse should be twice as long as your belt width, so that when it's folded over, you can still thread your belt through. 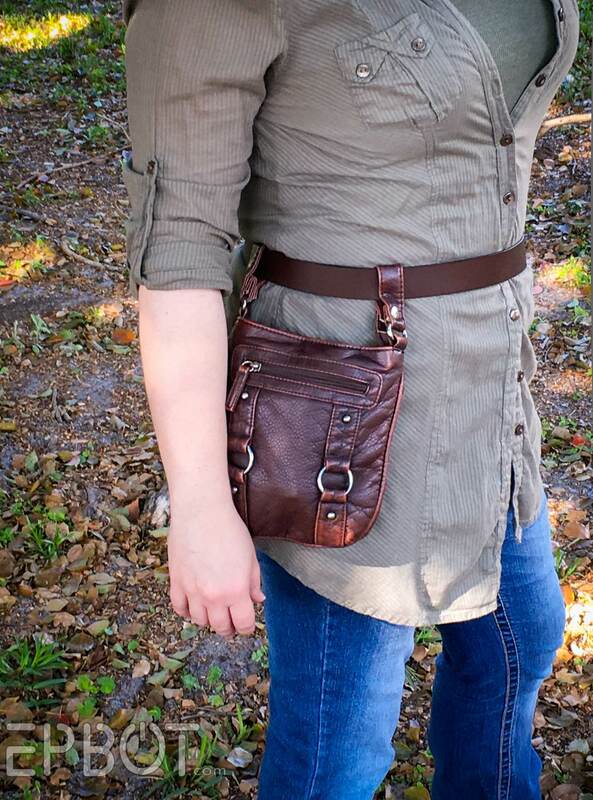 So, if your chosen belt is 2 inches wide, leave a little over 4 inches of purse strap, and so on. 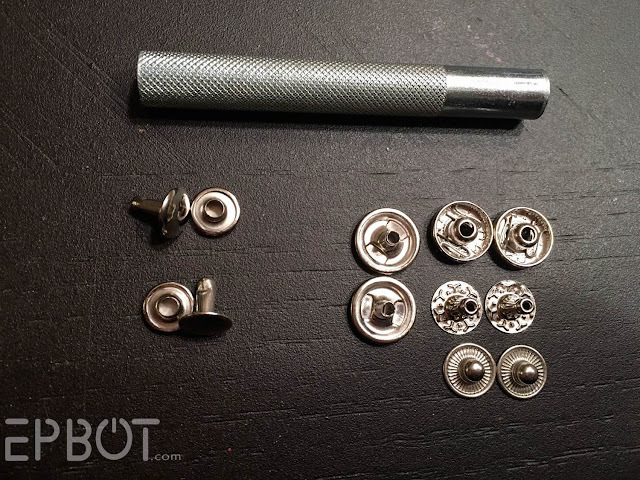 Once your snap is installed, you can thread on your swivel clip, and that side is done! 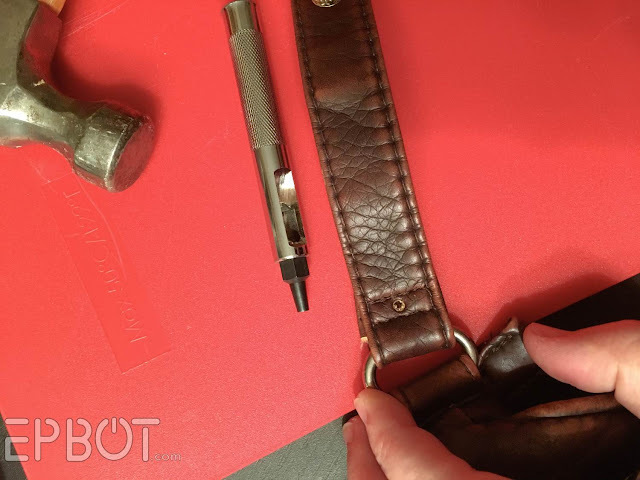 You'll need to repeat this process on the other side, but be warned: if the bag has an adjustable-length strap (like mine did), there will be an extra step. Your snap will act as a rivet to hold down the folded-over edge. 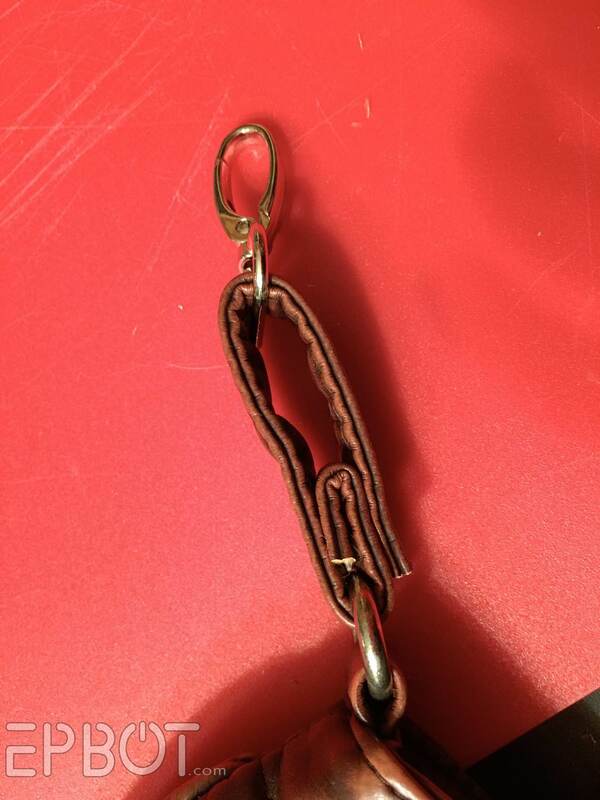 You can unsnap each side section to add or remove the swivel clips. Handy, right? 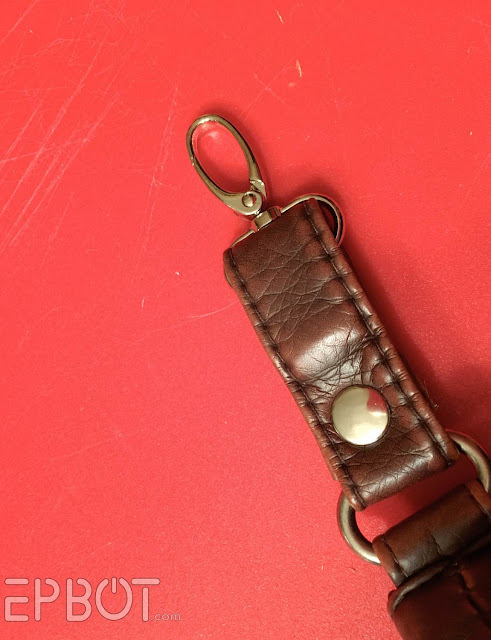 When you're done, both sides of your strap should have a square ring. And make sure you fold both strap ends under so they match. This is my preferred method, and in the 4 years I've been wearing bags like this, I've yet to rip a belt loop. Knock on wood. 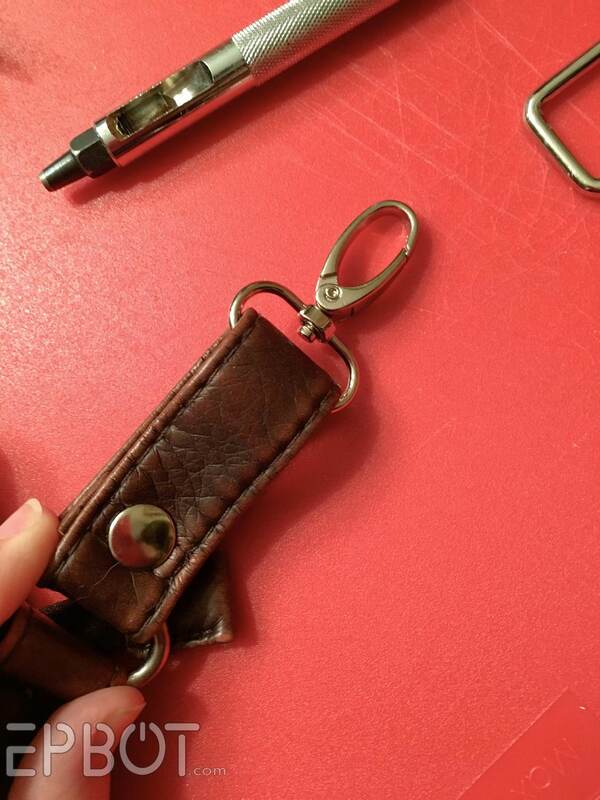 Or you can remove the swivel clips all together, and thread your new hip bag onto a belt. One bag, three ways to wear to it! And for those of you on Pinterest, BEHOLD! I'm trying to channel my friend Darla of Bakingdom with my pinnable pictures, since I could swear she has a magic wand when it comes to graphic design. (Picking fonts is HARD, you guys.) So if you like this tutorial, please help justify the 2 hours I just spent on this graphic by sharing it on Pinterest! 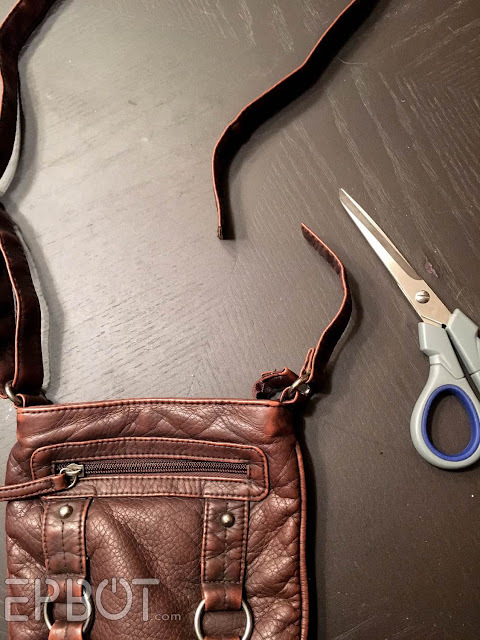 Do you have any tips to adding a shoulder strap to a purse that doesn't have one? I was given a really nice purse, which only has handles. I really hate lugging this thing around. I can put the handles over my shoulder but then the bag is constantly falling down to my elbow. Sure, just depends on the purse construction. 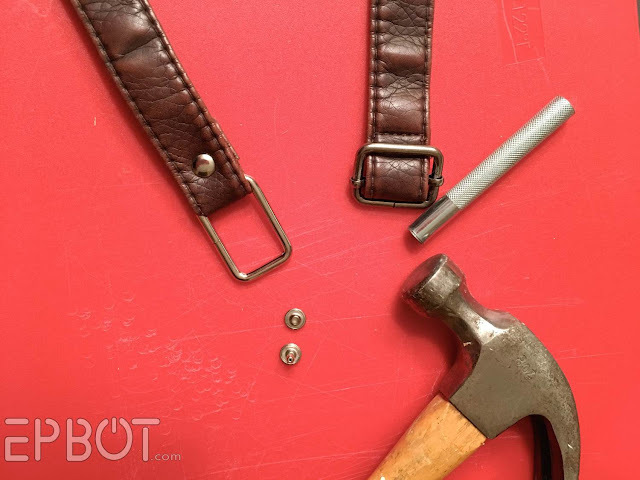 If it's a sturdy enough material you can rivet a new strap in to the sides, assuming there aren't already decorative rings or straps there you could use. That's actually a great idea, btw, since I have some pretty purses stashed in my closet I never use for just that reason, too. Maybe I'll dig those out, see if I can add longer straps. 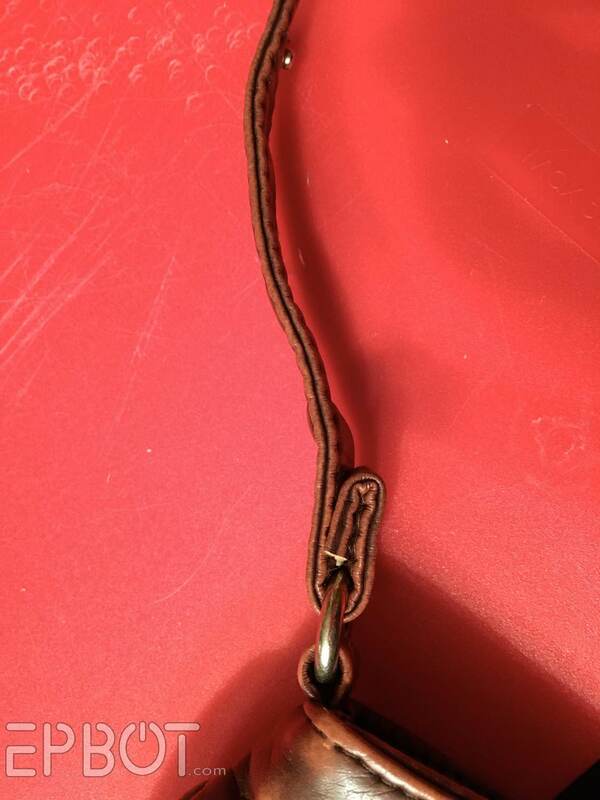 Actually, it has two decorative rings on both ends of the bag, with thin straps looped through and knotted together. I'm not sure if the straps would be strong enough to hold one long shoulder strap but the rings themselves are pretty sturdy. 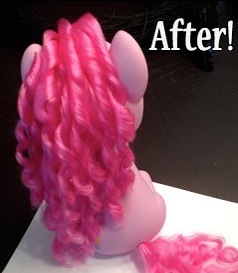 D'aww, you make a cutie-pie Pinkie pie! LOVE the bonus Tonks paw! Love how you posed in these pics, Jen. Way to work it, grrrllll!! Also love the way you modified your bag. And they showed US how to do it. You're the best. Wearing it on your belt would be perfect for vacation - when you have all those important documents, and always worried that someone is going to steal them. It is like a fanny pack, only not obnoxiously ugly! This really is genius. 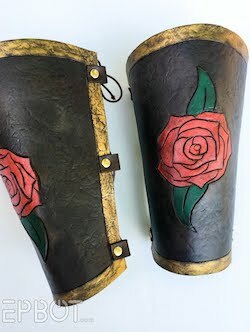 Any chance anyone has these already modded in an Etsy store? 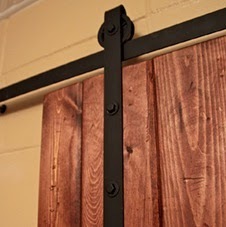 For those of us who are hopeless at DIY? Not sure about modded ones, but there are lots of custom hip bags on Etsy. They just tend to be pricey (the ones I like are always $100+), which is why I ended up doing it this way! If you don't want vinyl/leather, though, I've seen some more affordable canvas versions over there. You might try your local motorcycle shop. 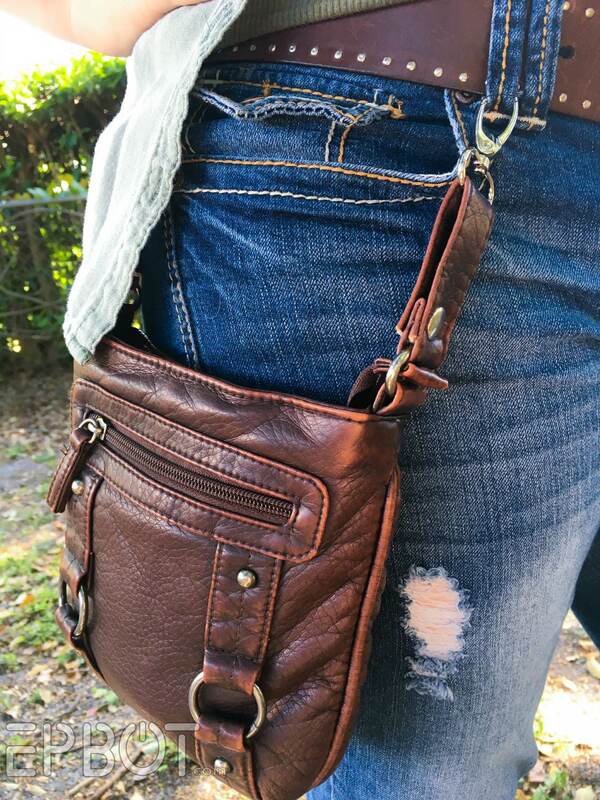 When you ride, purses like this are not just cute, they are a necessity! I picked up a cute one from Hot Leathers (http://www.hotleathers.com/Leather-Purses-C221.aspx). Mine is a simple black with a silver dragon on it. I've bought from them for years and never had a clip break. They come with handles as well! Thank you, Jen and blu_canary! I need to clean the house but I need to modify my purses now. Curses!! Try Walmart; I've found great options there. I love how crafty and creative you are! 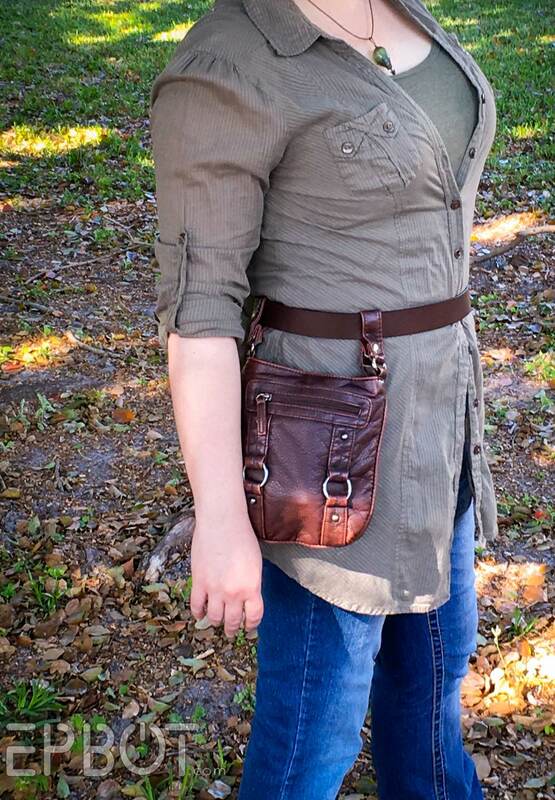 I was lazy and bought a "utility belt" (or fancy fanny pack)from Talismana Designs. My shoulders thank me when I wear it, and I look awesome! I'm also a fan of the cross-body purse. Set it and forget it. This looks great! I just don't think I will ever abandon my across-body sling Kavu bag. You. Are. A. Witch. In only the best ways! I swear it is magic. I've come to love the hands free feel of cross-body bags, but don't particularly like the feel of it. I'll have to give this hip bag a try. It looks so cool, too! Agh. Back to work. You're such a smokin'-hot babe. And you explain stuff well, too. Oh, and then there's the part where you're brilliant at everything you do. Excellent mod! I doubt I'll ever try it because I think I like the security of cross-body purse-wearing best, but it does definitely seem like there would be situations where hip- or belt-wearing would be much more practical...like if I could work it into my costume someday when I get brave enough to cosplay and attend a con. Okay, back to taxes, ugh. Just taking an Epbot and snack break. As always, you are brilliant. Simply brilliant. I just wanted to tell you that your first hip bag tutorial was why I started reading your blog and (not to be dramatic) it seriously improved my quality of life. I have severe chronic back pain that makes wearing a shoulder strap very painful and your mod allowed me to finally use a purse again! This makes me so happy! I didn't mention it in the post, but I have lower back problems myself, so this mod has saved me a lot of pain. I'm glad it's doing the same for you. Omg...do you need a graphic designer?! Because I AM a graphic designer. And I happen to hate my current job. And I happen to love you. So...perfect fit? Aha, perfect if you can survive without pay! :D That pesky money thing fouls everything up, am I right? I would LOVE to have a hip bag! I made one after I saw your tutorial, and I've been gifted one recently, but it Just. Doesn't. Work. I just have too much stuff! 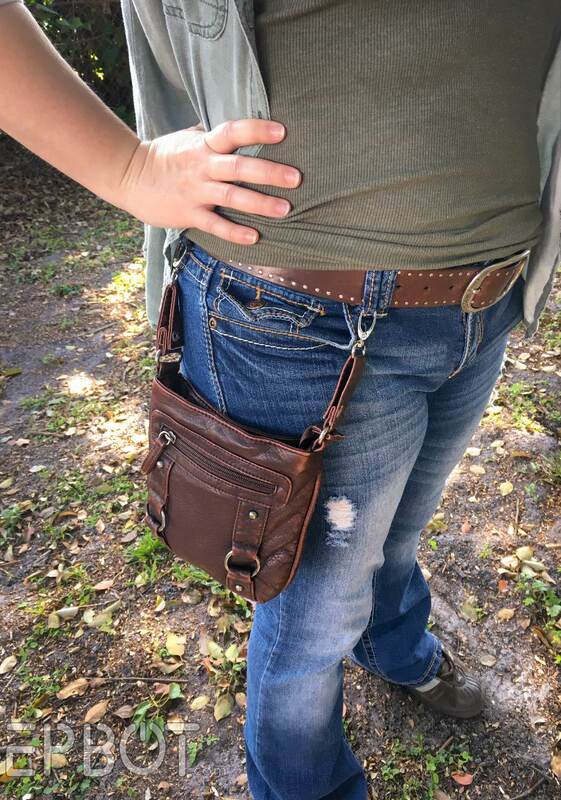 For those of you that use hip bags, what do you usually carry? I've got phone, wallet, keys, water bottle and sun umbrella (non-negotiables as a pale person in Australia), notebook, miscellaneous girly items...I don't need a hip bag so much as The Luggage from Terry Pratchett's Discworld. Ha! Well, in these photos my bag contains my phone, a slim wallet, a large-ish pill case, purell, lip gloss, liners, and a few ginger candies & Disney pins for trading - so that's probably most of what you carry! I'm a chronic hip bag user. Wallet, phone, keys and small light misc go in the hip bag. I'm forgetful so if it's attached to me, I'm less likely to leave valuables behind. Everything else goes into a bookbag. The bookbag is lighter, less bulky as a result and in case I walk off without it, my valuables are still attached to me. PS - Hip bag never ever goes into the bookbag. Cool idea - I have too much hip to wear a hip bag but this is extremely helpful in creating a cross-body bag. Thanks for yet another helpful project! 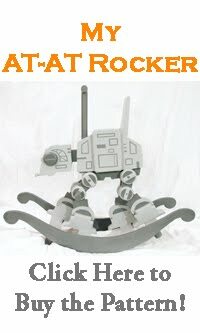 So if this is a craft from forever ago, how do you have step by step pictures? Do you take pictures every step of the way for any craft you attempt? 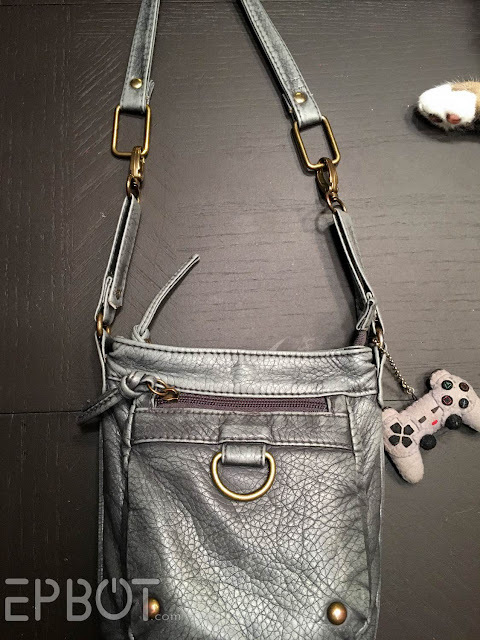 It's an amazing hack, and when I don't have to carry around a diaper bag, I know just the purse I'm doing it to! Jen did the first brown bag and the gray bag years ago. She modified the new brown bag recently and took step-by-step photos this time so she could show us. Brilliant idea to use it for the epi-pen. My daughter has food allergies and asthma. Now I know what we'll be trying this weekend! I love this! I'm a deputy, and I often carry my weapon with me. In the winter, I can get away with just concealing it with an in-waistband holster and wearing a cardigan. 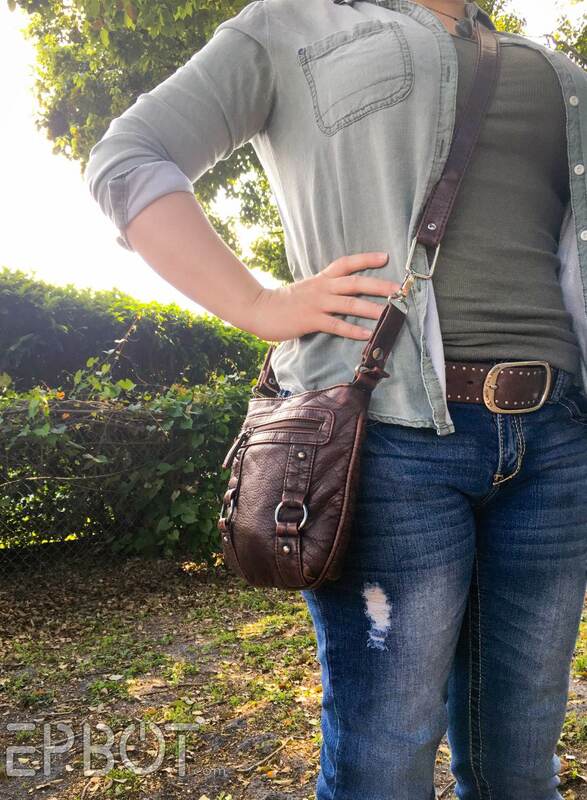 In the summer, I'm stuck carrying a purse, and I hate it - literally the only reason I carry a purse is to conceal my weapon because I normally just carry a clutch (if I have anything at all). 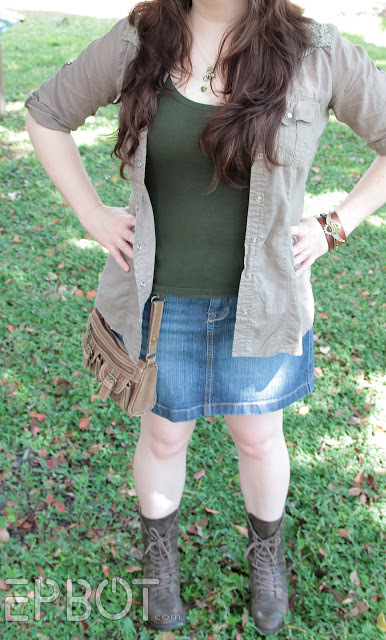 I'm going to go hit up the thrift stores and find a purse I can practice this on before shorts weather hits! I never got along with purses, I just have cross body bags or backpacks. The belt loop version isn't too useful for me since I hardly ever have them (even the trousers I do have don't always have them, let alone the skirts), and I only wear belts when I'm dressed up. So as cool as this is, I won't be trying it out. I have intended to try this since I saw the original post, but haven't gotten around to it ... yet. 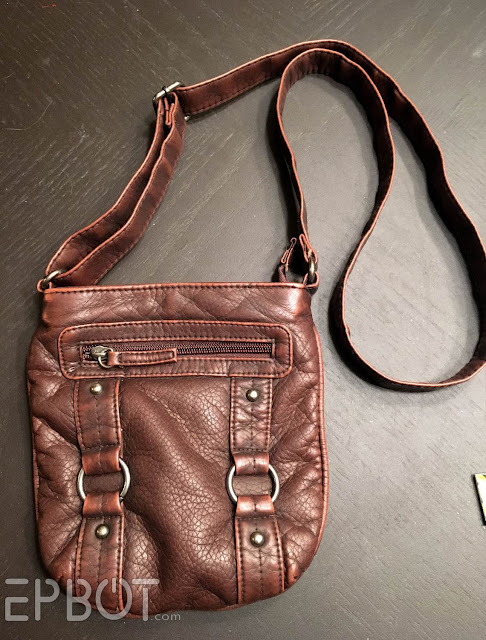 I'm the sort who carries around the proverbial "everything but the kitchen sink" in a large cross-body messenger bag (typically of a suitably steampunk-y vibe), but I love your idea so much. I'm working on a costume that this would be perfect for too; I have a backpack disguised as a jet-pack for stowing my stuff but it is a veritable act of contortion to get it off and on just to get my chapstick, money or a mint. Now I realize this would blend perfectly with my airship-sabatour character (and wouldn't get in the way of my armor - woot!) and allow me to keep the necessities accessible while giving me even MORE room in my jet-pack to stow con swag. Good gosh, if I wasn't living in the opposite corner of the country from you, I'd hug you in person (with your 'OK' of course). Oh heck, I'm sending an air hug anyway. Thank you, both of you, for all the constant creative inspiration. 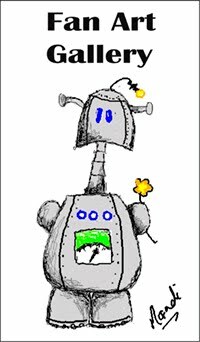 EPBOT charges my creative batteries like very few sites do. I can't do the shoulder strap bags either, but that's because I have super round shoulders. 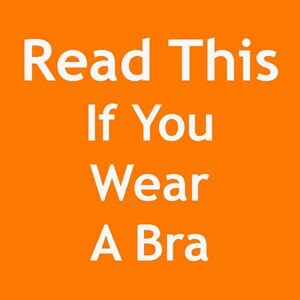 I have trouble with bras for the same reason. I love the convertible bag! My current bag is a bit too big to be on a belt, but I'm thinking of downsizing once it wears out, so I'll keep this in mind. THANK YOU for the inspiration! I just completed a similar alteration to a bag I bought, because I was desperate for a hands-free option for the concerts I'm going to in a few weeks that was not a (gag, puke) FANNY PACK. 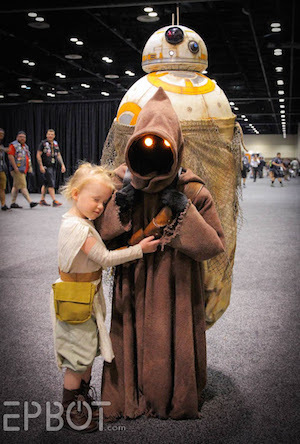 I am binging on your blog after not looking at it for a while, and OMG!! I LOVE THIS! 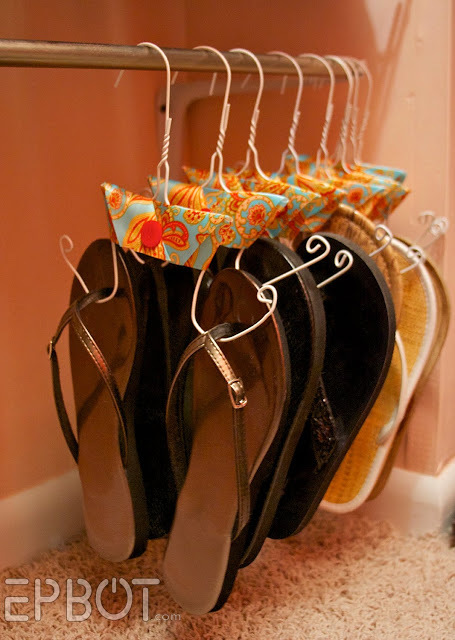 I am already into taking cheap purses and altering them to fit my style, for my next one I am also doing this! My husband rides and when we go out on the Harley together this would be so much easier then moving everything into a small backpack type of purse(I honestly don't like how those look personally but they work) just for the ride. Thank you so much for this tutorial!!!!! Thank you for this awesome hack. 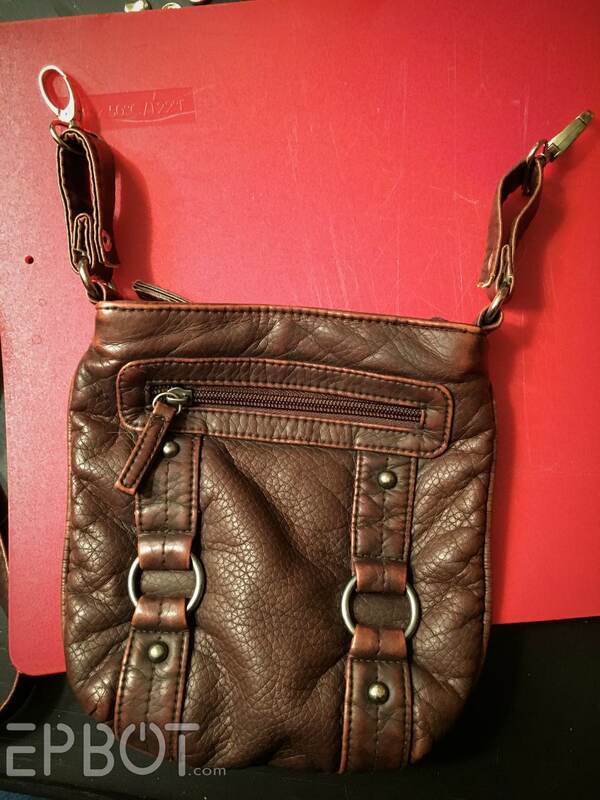 I have been wearing my purse, or as we prefer to call it 'satchel,' on my hip for YEARS. Some people have teased me, but the laughter dies quick when they have to 'find a safe place to put their purse' and I can just jump into an activity. I will never go back. However, til now, I have always looked for a purse that had one clip already on it or just pulled it over my head. You have saved me a ton a future hassle! Thanks again. 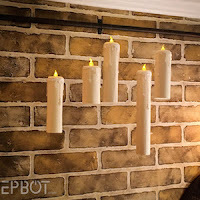 I have wanted to try this diy ever since you first posted this tutorial. I've been on the lookout ever since to find a bag that would be just right for me, and today I found it. I'm super excited to get to work on it, I'll keep you posted on how it turns out. Thanks so much for this idea, Jen! Totally love this idea! 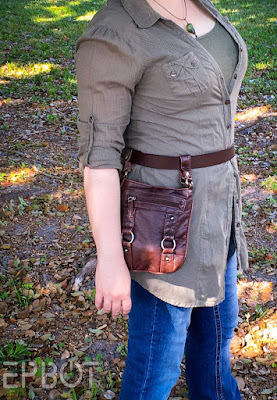 For Ren Fest characters & possibly comic-con's I am definitely going to look for something similar to my current black cross body, that I can alter for this project. I've made actual pouches, but everything shifts & you have to dig for what you want. :-) Thanks so much for posting!! !